There is an interesting friction between things Christ taught and between service, kindness, attention and seeking praise. With Christ, the friction is obvious since he said: “let not your right hand know” and he also said “let your light shine.” Those two directions seem to be in conflict. Letting your light shine makes a lot of sense, especially since science reflects that when people see others being kind they are more likely to be kind. If you want people to be kinder and to help more often, the easiest thing you can do to encourage kindness is to just let other people see you being kind. I learned that fact about kindness, and some other things, when I began some study, reading and podcasts, on ethics. Recently I’ve been reading in experimental ethics where tests are done to see what causes people to help and what doesn’t. It is fascinating to see what tests show (rather than just guessing or anecdotal evidence). So, with tests on sermons we learn something. How much do they help? Do they help? Not really, hearing a sermon on being kind doesn’t seem to make any difference at all. Surprisingly, teaching a sermon on being kind doesn’t seem to make any difference at all either. 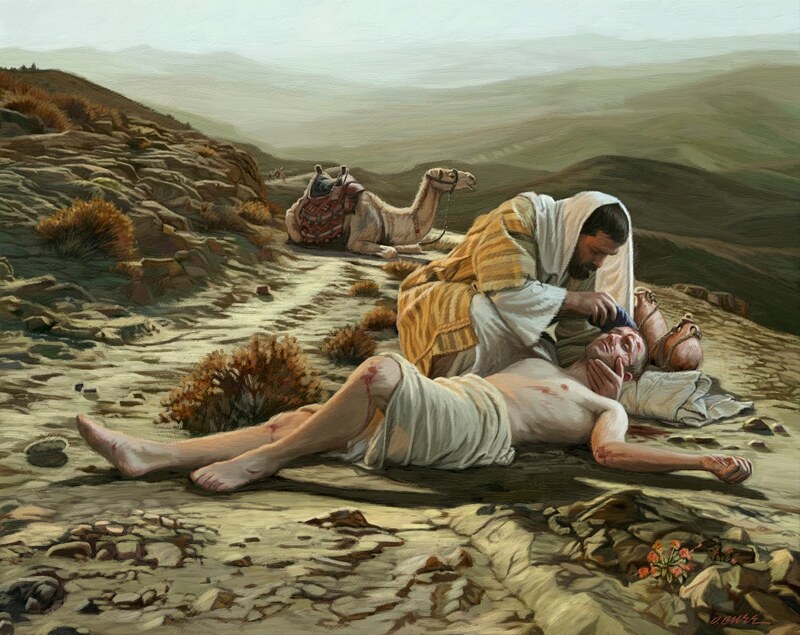 Even preparation of a sermon on the Good Samaritan — has no impact on whether someone will help. Being told to hurry — that makes you substantially less likely to help. Seeing others being kind? That is dramatic in the difference it makes. In addition, building expectations about that people will and should help — that has a strong impact. The social contract and expectation guides people. Further, giving tangible ideas on what to do — that is helpful as well in getting people to be kind and to help rather than stand about helplessly wondering what to do. You can see it in the food drives. People donate canned food. Those same people, for the rest of the year, without a tangible thing to do, do nothing. So. If you want people to embrace helping others and kindness, it helps if those people see or hear of others, being kind, if they plan on taking time to be kind and if they have tangible ideas in mind. Of course the easiest way to get people to see others being kind is to have people call out when they are being kind. That builds a sense of community, of expectation that you should be kind and it creates a “light on a hill” that leads the way. Not surprisingly,the easiest way to get people to do something is to give them lists (which looks a lot like check lists — and everyone resents feeling like they are a check mark on a list). That creates a friction. The same as the two things Christ told people to do — to act in private, yet at the same time let their light shine. How do you navigate between those two poles or directions? How do you resolve the friction? How do you think others should find their way? Next Next post: Fred Karger is either cynical, conspiratorial or misinformed about LDS Church taxes. I have found that when I ask others if they would “like to help, too” it works better than just announcing that I am “doing”, be it a food drive, DI drive, or whatever. 3 Nephi 18:24 resolves that conflict in a sense: “Therefore, hold up your light that it may shine unto the world. 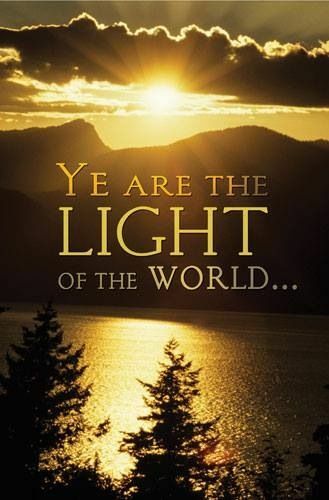 Behold I am the light which ye shall hold up—that which ye have seen me do.” You could read it as the light people should shine is Christ and/or Christ’s works. It’s not that we are to get glory throught the acts of service, the “glory” is supposed to go to God. When people do service in secret, it guarantees that the person will not publicly receive the credit, and typically the receiver will express thanks to God for the service rendered. I think the points made in the OP are really helpful. I can’t say there’s anything consistent that compels me to help some times as opposed to others. I know that at times expertise will be the issue – if I don’t feel qualified to help then I’ll hold back (but if I know someone else qualified, I won’t hesitate to ask them for an assist). I think of service as creating heat more than light. “Let your light warm,” instead of “let your light shine.” It’s been a helpful reframing for me, so just tossing it in…. Stephen – what are some of the books you are reading on this subject? I am interested in reading more about this area.